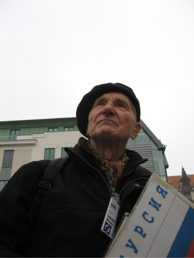 I got talking to an elderly tour guide in front of the House of the Blackheads in Riga Old Town. When I told him I was a composer visiting the city he gave me a courteous half-bow and said that in the 1930s he’d been a French Horn player in the Riga Symphony Orchestra. Afterwards I stood where the Vecrīga (Old Riga) webcam would pick me up and waved to my family in the UK watching me online. Here’s a screenshot (that’s me with arms akimbo). 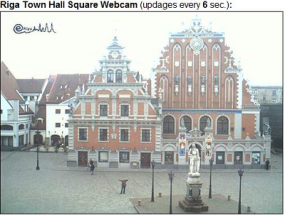 Click the image to visit the Riga Town Hall Square webcam now.